We zre ofering M Series Positive Displacement Flow Meter to our clients. PD Meter providing high accuracy and repeatability, measuring fluid flow proportional to the volumetric flow rate. - SS 316 / Aluminum – Material of Construction. - Compact size and extremely Accurate even with Viscous Liquids. - Durable & Serviceable on site. - Utilizing time proven Oval Gear Principle. Owing to our in-depth knowledge of this domain, we are specialized in providing PD Meter. Our clients can avail a quality range of positive displacement flow meters, which is used for the measurement of volumetric flow of fluids such as water, hydrocarbons, cryogenic liquids, and chemicals, to name a few. Shilpa Computers (GOA) Pvt. 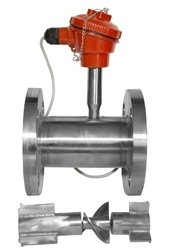 Ltd.
A positive displacement flow meter that requires fluid to mechanically displace components in the meter in order for flow measurement. 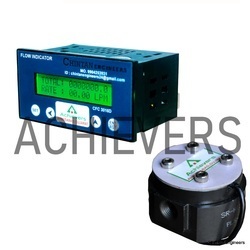 We are one of the well-distinguished companies in the market that are offering PD Meter.